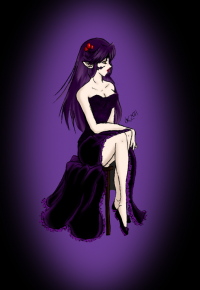 My amazing dokugasona was done by the lovely Synyster Star, she is an original character of mine, so don't steal please. Thanks! Thank the wonderful R0o for this lovely banner!! Yay!!! My story "For The Love Of A Miko" was nominated for best Alternate Universe/Reality Best Potrayal- Kagome, and Best Romance, yay!!! Thank you all so much!!! Sesshomaru has one to many drinks and wakes up in jail. For the "He Said What?" Challenge! Kagome and Sesshomaru are married, but when he wrongly accuses her, she is heartbroken. She runs away with their two month old son Maru. Sesshomaru searches for them, and when he finds them in a supermarket will he let them go? Can Kagome forgive him? This is for Ryuu’s Random Prompts challenge! A Kagome and Sesshomaru fic using prompts from the challenge! 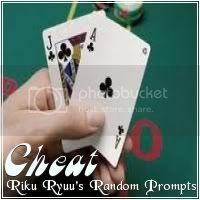 Prompt one: Cheat It is better than it sounds. As a young child, Kagome had an imaginary friend. As she grows older he stays, and she begins to have feelings for him, sadly she knows they can never be. But on her fifteenth birthday she gets dragged to the Feudal Era and discovers the Shikon Jewel, which can grant any wish. Sadly she must find it first. AU! Jaken stumbles across a magazine containing the "I Saw Him First" Law, and decides to use it against Kagome. How will that turn out? For Smittee's Marvelous M Challenge! Kagome expresses her feelings through M's. Feedback from The Lovely Miko: Hey!!!! I'm The Lovely Miko! I'm kinda new at this!!! I have a few stories in the process so as soon as I figure out how to publish them I will. Thx 4 being my 2nd friend! Welcome to Dokuga! Feel free to browse around at all the wonderful artists and authors dwelling here!